Well, the big game was certainly … something. Between the moribund offensive showing, milquetoast halftime act, lame commercials and unfortunate final score, it was quite possibly the most disappointing football game since Kevin O’Shea’s 1994 Cowboys squad lost on a last-second, fluky trick play to his brother’s rag-tag group of dweebs, nerds, dorks and all-around unathletic weenies. On the plus side, this Brafton writer’s buffalo chicken dip was the toast of his viewing party, so at least something positive came out of this whole affair. What could possibly distract you from the awful realization that you won’t see another Brady-to-Edelman reception or devastating Khalil Mack pass rush until fall rolls around? 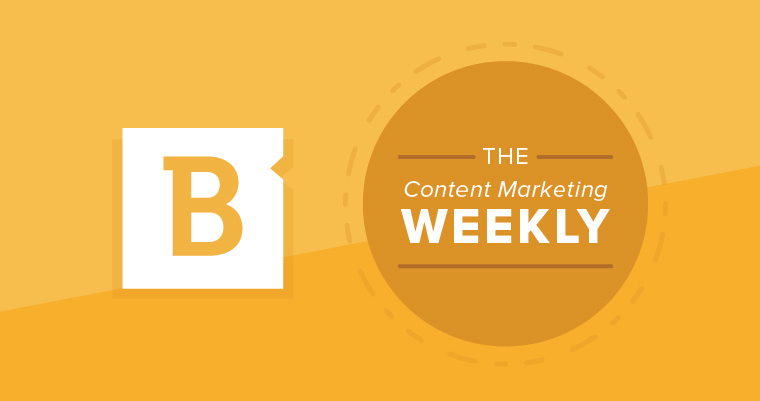 How about the Content Marketing Weekly? Yes, sir, the CM Weekly is guaranteed to put a pep in your step and chase away the post-football/pre-NCAA tournament winter blues, bringing you all the latest happenings in the digital marketing world. This week, we’ve got news and updates covering everything from Domain Authority to buyer personas on tap, so put down that bowl of quickly browning guacamole and dig into some content marketing goodness. The big news this week comes from Moz, which just announced plans to update its famous Domain Authority metric. In short, the company is switching from a linear model to a neural network to calculate Domain Authority scores. Without getting too far into the weeds on the technical specifics of that change, Moz claims that its neural network-approach will lead to more nuanced and accurate Domain Authority rankings while also reducing instances of link manipulation. Domain Authority is, at times, a contentious issue within SEO, with its critics arguing that Moz’s metrics don’t always reflect the latest changes to Google’s own ranking factors. There have also been plenty of concerns about Domain Authority’s vulnerability to paid links and link spamming, which can artificially inflate a site’s ranking. Moz’s forthcoming update should correct these issues (at least, Principal Research Scientist Russ Jones claims it will). Over at Search Engine Journal, Roger Montti noted that if Moz can make good on its promise to curb link selling and overhaul its Spam Score feature to actually, you know, detect spam, then you can expect Domain Authority to become even more relevant to SEO strategies. Moz is rolling out its new-look Domain Authority March 5, 2019, so you have less than a month to get up to speed before it drops. Read Moz’s full announcement here. Sometimes we take for granted the fact that even though the hardest part of using buyer personas is actually researching and developing them, some marketers still struggle to incorporate those results into their content development. Identify the problems, challenges and concerns that keep your personas up at night. Tweak your tone to match each persona and speak their language. Answer the right questions – that is the ones that your targets would ask at each stage of the buying journey. Map out your content to reflect the evolution of the user journey and your audience’s growing familiarity with your brand as engagement develops. Hit up the channels they frequent most. All of this is really to say that you should put yourself in your target audience’s position to really understand what they care about most and to avoid any missteps that could torpedo your engagement efforts. It’s a helpful guide if you feel like your buyer personas aren’t really pulling their weight. If you’re a real Moz hound, then you’re in luck. Today, we’ve got a two-fer on Moz-related news. This second item is the Moz team’s analysis of Google’s new carousel snippet feature. We’ve talked extensively about rich snippets – and SERP features, in general – before, but the carousel snippet may just be Google’s most deliberate attempt at undercutting page-one clicks yet. The carousel includes “IQ-bubbles” along the bottom of the rich snippet showing different sources of information and related search terms to refine a query. The end result: According to Moz, Google can cram 600 percent more snippets into a SERP. As if carving out a space on page one wasn’t already tough enough. Hold on, though. Another interesting trend that the Moz team noticed was that many IQ-bubble snippets (roughly 63 percent) were not listed anywhere else on page one. Could this be a viable alternate path to land at the top of search results without jostling for highly competitive keywords? Only time will tell. Read the full breakdown of Moz’s analysis. And with that, we say goodbye to another edition of the Content Marketing Weekly. Keep your eyes peeled for the next installment and your fingers crossed that next year’s “big game” is actually worthy of this writer’s Michelin star-quality buffalo chicken dip.